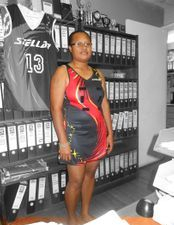 (above) Public Servants Comp - PNG Customs (left) V NCDC (right). 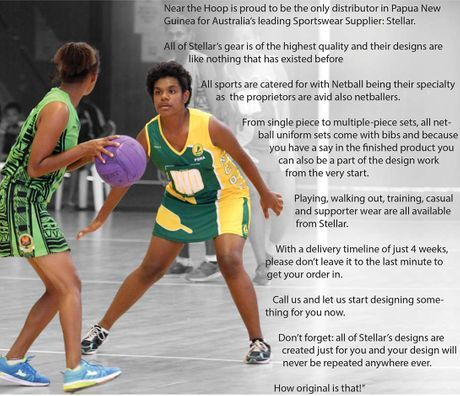 Skirt and Top options designed and produced by STELLAR DESIGNS and Near the Hoop. 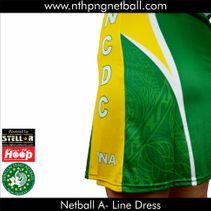 A -Line Netball Dresses(left) or Top and Skirt (above) Custom designed by team members themselves then produced by Stellar and delivered to you. 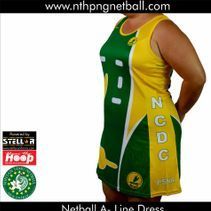 No order is too complicated or colour combination too wild for us. Talk to us and let's see what you have in mind.